Bad credit can leave people feeling stuck. Without a good credit score, buying a house, a car, or paying for school can feel difficult or even impossible. Additionally, making a big purchase with bad credit can mean you pay more in the long run. In fact, when applying for an auto loan, those with bad credit can end up paying 311 percent more in interest than someone with “very good” credit. And starting a business or buying a freight truck can feel just as intimidating and impossible when your credit is less than perfect. However, this does not have to be the case. Having bad credit doesn’t mean you cannot jumpstart your career as a truck driver or finance a new truck. 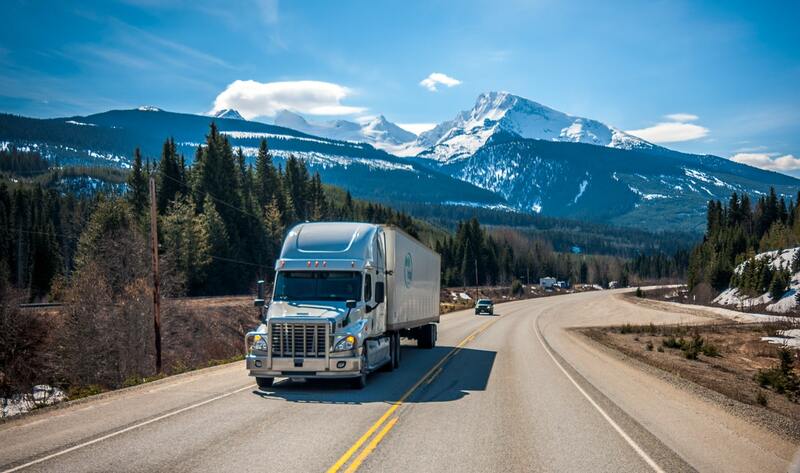 With the trucker shortage causing the demand for qualified and capable truck drivers to skyrocket, there are large incentives to get truckers out on the road with or without excellent credit. Here is what you need to know about financing a semi-truck with bad credit. Those with good credit can often use their positive history as a way to get a loan. For those without good credit, finding another way to secure the loan may be necessary. One great way to do so is to put up some collateral. Collateral is anything you own that can be pledged to the loan provider until it is paid in full. These are often an option for people with bad credit, because if the loan is not repaid, the lender knows they can seize the collateral and use the money from it to repay what is owed to them. There are two forms of collateral to keep in mind: Hard and paper collateral. Hard collateral consists of homes, businesses, cars, and anything else that would have to be liquidated to cash in the event that it was seized by the lender. Paper collateral includes stocks, bonds, and other items that would be easier to convert to cash. It is important to understand the difference between these two types of collateral before applying for a loan. Paper loans are often much easier to liquidate, making them more appealing to a potential lender. If offering some sort of collateral seems like the best course of action for you, consider making a list of your assets that could be used as collateral. Sometimes, you can even use your semi-truck as collateral when applying for a truck loan. You will still have to make monthly payments on the truck, but the financing company will know they can seize the truck and sell it if you are unable to pay. When securing a loan for a commercial truck, it is also important to remember that you will be receiving a business loan. Business loans are different than standard loans, and with that comes unique rules for both you and the loan provider. These rules make it easier for the lender to seize property if they are not receiving payments. This means that while it may be easier to secure a loan with bad credit, there will be faster and harsher consequences if you are unable to abide by the terms. Grants can be another great way to secure funding for your new semi-truck. Luckily, there are a variety of grants for truckers to apply for. Depending on your experience level in the field, you may be qualified for different grant options. Bad credit does not have to stop you from your career goals. When applying for a loan, it is especially helpful to work with a lender that specializes in low credit financing like Mission Financial. Mission Financial Services has been providing commercial auto loans and refinancing options for over 19 years. As a direct lender, we offer loans through dealers as well as direct lending in 48 states. Mission Financial is proud to be a common-sense lender. This means we analyze more than just your credit score. We examine each applicant’s overall credit, instead of only the number on your credit report. If you are willing to put up collateral and have a history of on-time payments, you are likely to be approved for a loan with Mission Financial.